On Sept. 15, the Three Pines Farm Folk School and Heritage Farm will be hosting a talk by two artists and a tour of the dye lab that they have worked in. 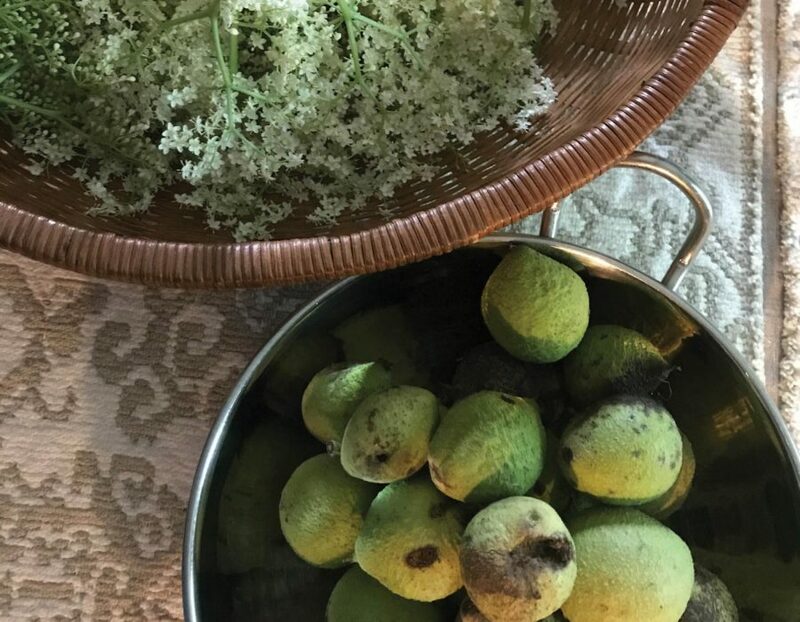 During the event, Hartman Reserve Nature Center artist-in-residence Angela Waseskuk will be speaking about the experiences she had with natural dyes over the summer. A demonstration of the dyeing process will also take place during the event, alongside a display of Waseskuk’s artworks. The other guest, Kara Grupp, will be explaining what Three Pines Farm does for the community along with the classes and events that they offer. Admission to the event is free and refreshments will be served. For the past year, Waseskuk has been working in collaboration with Three Pines Farm as a textile artist. Over the course of the summer, she walked through the Hartman Nature Reserve while gathering various plants for her work. She has also been incorporating materials such as purple corn from the UNI Panther Plot into her pieces. “There’s so much to be learned, for sure, and I feel like I’m just scratching the surface,” Waseskuk said. While she acknowledges there’s more to discover, Waseskuk hopes to share her summertime experiences with her students this fall. Both inside and outside the classroom, Waseskuk is fascinated by the natural dyeing process and its connection between art, ecology, and sustainable practice. During her artist talk on Sep. 15, Waseskuk’s goal is for the audience to marvel at plants and ponder the relationships between humans and the natural world.